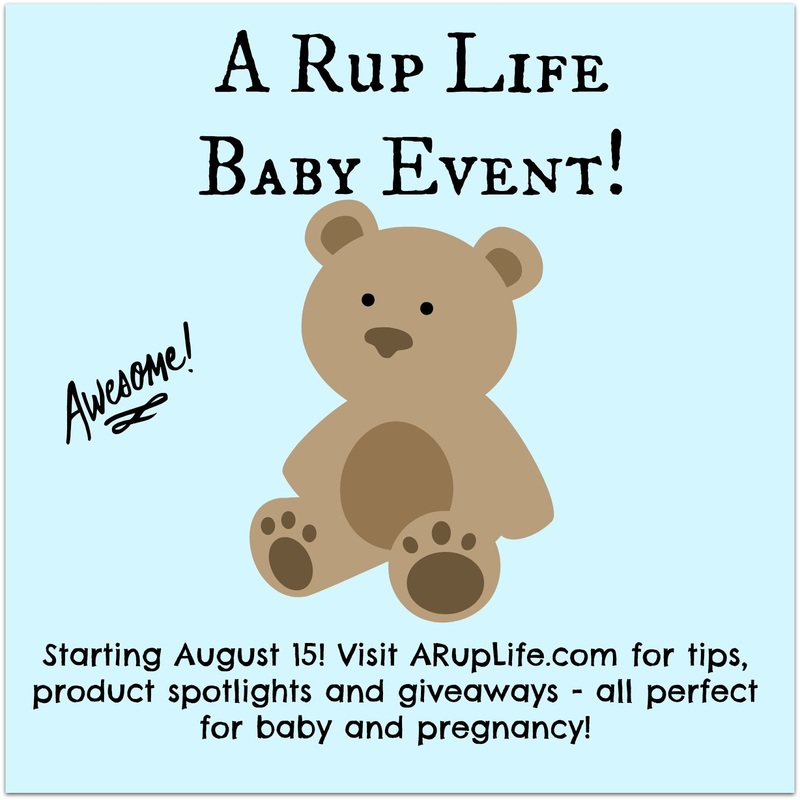 I'm so excited to share an upcoming event here at A Rup Life! As you know we are expecting our 4th child in November, in honor of the upcoming arrival I will be holding a Baby/Pregnancy Event starting August 15! Be sure to visit each day for tips on pregnancy, baby registry, awesome product must-haves and some amazing giveaways! The line up for the event is fabulous - so you will want to stop by each day and see what is new! Share the event with your friends who are expecting or new mommas! Interact! I love hearing from my readers! If you like something comment!